A big old tree in Montclair has been around for an estimated 150 years, and possibly longer. But it won’t be there much longer: It’s died, despite efforts to save it, and will soon be cut down. Friday’s column tells the tale. 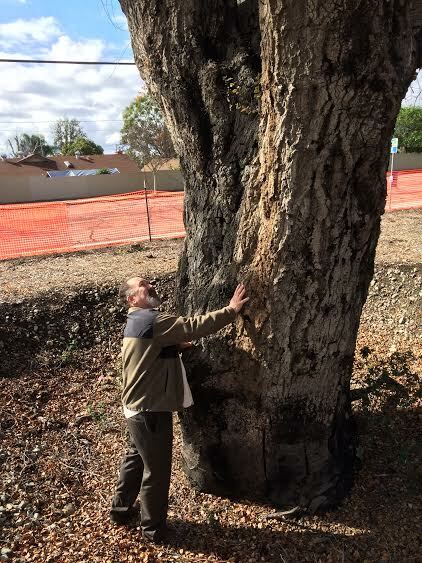 Above, a current view of the tree (at 4594 San Bernardino Street, west of Monte Vista Avenue) contrasts with a photo from a few years ago; below, Dave Schroeder of the Chino Basin Water Conservation District takes a close look at the massive trunk. This entry was posted in Around Montclair by David Allen. Bookmark the permalink. 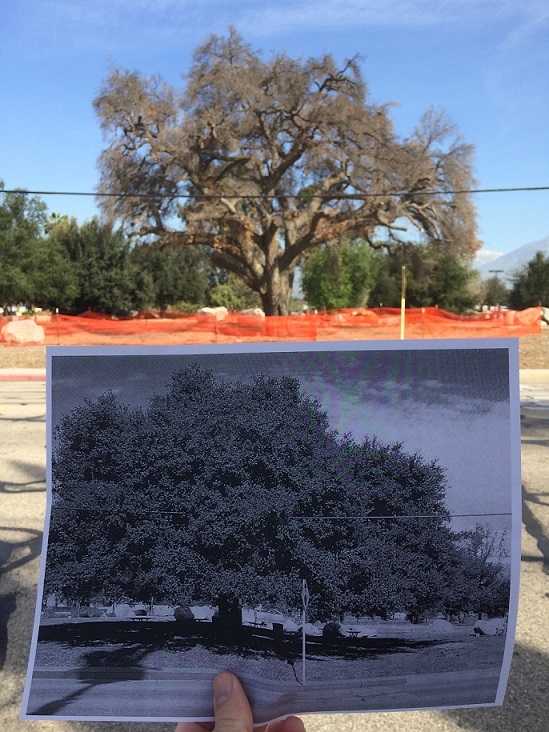 We had one tree here in Pomona at Central Park on Third St. that was 140 years old. It to had to be torn down, because of some bug or something that got to it.